I was a troubled student who had lost all sight of direction in middle school and officially dropped out in the 10th grade. Besides a desire to become a professional writer, there was nothing motivating me to do anything else with my life, where everything essentially was put on hold. I devoted countless hours each day towards improving my writing skills, but that frustrated my family and friends as they viewed my goal as an excuse to justify my decision to quit school. It took a little while before I eventually realized that a professional writing career wasn’t anywhere close to becoming a reality due to my inexperience and lack of knowledge on the subject. I knew that I didn’t want to go back to high school, but also knew that I needed to obtain a diploma in order to be taken seriously. Recalling that an uncle earned a GED (High School Equivalency Certificate) as opposed to a high school diploma, I did some research felt like it was the perfect fit.? 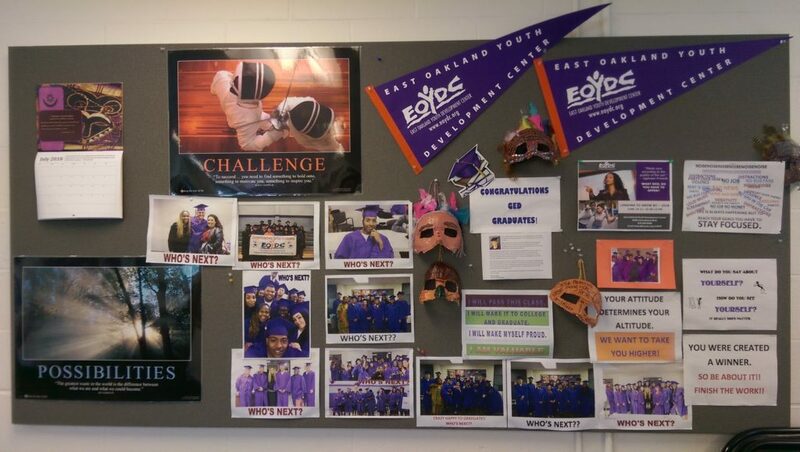 After I expressed the desire to pursue a GED, my father leaped into action in search of GED programs close to home. That ultimately brought me to the East Oakland Youth Development Center (EOYDC) where in eight months, I was able to obtain it. The change in scenery, classroom environment and most of all dedicated personal teaching by my GED teacher, Miss Anana Clark, kept me on track in accomplishing that goal. Earning my GED was one of my first major accomplishments and symbolized for me that anything was possible if you put in the hard work to make it happen. Looking to share other success stories other than my own, Miss Anana put me in contact with Danyell Henderson, a 2012 GED graduate who overcame high adversity making him the strong-willed person that he is today. Below is an interview I did with Danyell. “I dropped out of high school in the 10th grade and didn’t have a direction of where to go,” ?Danyell told me. “I grew up without a father and my mom took care of six kids by herself, so she really couldn’t be involved the way a parent was supposed to. I was away from home all day doing things just to kill time and after about three years I decided that there was something that I needed to do.”? “How did you find out about the GED program?” I asked. “I had a friend that was in Miss Anana’s class and he told me about the program. Although school wasn’t for me, I gave it try.”? “Coming from East Oakland, I didn’t know any other option. I had friends selling weed, prostituting women, it was either take one of those options or take myself back to school.”? “Was obtaining the GED your main goal at the time or did you see this to be a part of a bigger process?”? 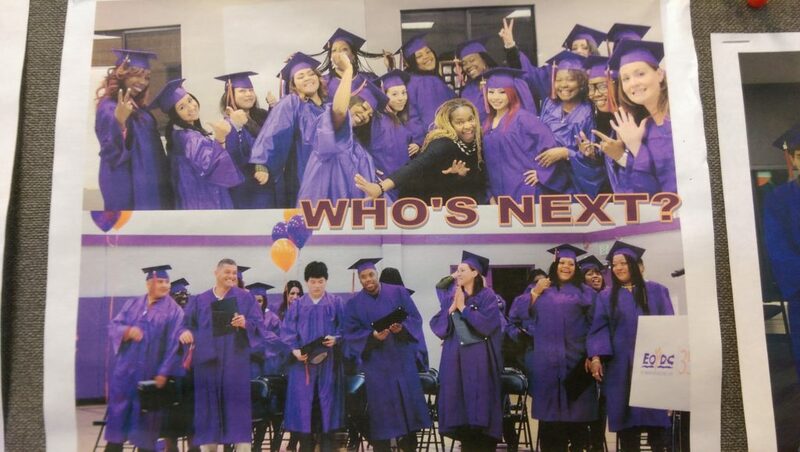 “The GED wasn’t a goal at the time, it was a stepping stone. But once I finished and graduated was when I first found personal happiness for myself. That wasn’t what I was looking for when I started, but something that I was able to find. Getting that GED was the first start for me to be able to do everything that I am doing at this moment.? I’m about to transfer to Mississippi Valley State from the College of Alameda with three degrees. ?Without it (the GED) and Miss Anana helping me, I would not be able to attend.”? For me, being able to write this article and share a bit of my story alongside Danyell’s means the world to me as it symbolizes the beauty of fate and the unpredictability of the future. The lead up to this article came down to two different desires to have pizza for dinner. Miss Anana and I ran into each other when she was picking up pizza for her husband and I was picking up pizza for my boss. The timing and reasoning behind it was meant to be. I did an interview with Miss Anana prior to speaking with Danyell, but soon figured out that it was impossible to fit everything into one article and decided that it would be best as a piece of its own. 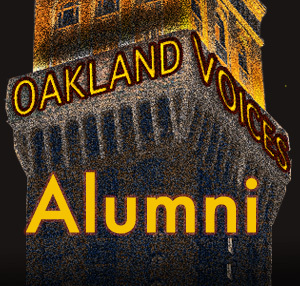 I look forward to sharing the second part with all of you in the future as it’ll be my first article officially as an Oakland Voices alumni. Ryan Barba is an Oakland native who is following his passion of writing. It has lead to his desire to further his knowledge and insight in this profession by learning and sharing with others. Ryan attended primary and secondary schools in Oakland and has ties to various community outreach programs throughout the East Bay. Having spent his life in Oakland, he looks forward to using this opportunity as a platform to tell stories that are occurring in his wonderful community. Very well written article! This piece is also very inspirational as it speaks about an issues most human beings face on a daily basis which is, it is never too late to start and/or finish something, and with hope and faith doors that seem locked can always be opened. In society, they make it appear that success is a A toZ route when this is not true for almost everyone. Everyone is different. Each person has their own circumstances, challenges, and situations. Everyone is motivated and find success in different ways. What I like most about your article is it talks about two individuals who had rough starts in life but still managed to find success. I think it gives hope to others around the world who may have failed at something or currently going through a tough time that there is a brighter side of the road, even if that side appears blurry. The definition of “true faith” is believing in something one cannot see! Which is a very hard thing to do for most people. Ryan and myself although a lot of hope may have been lost at times, shelf on to a tiny bit of faith, which kept the door opened to be s or to reach that brighter side I previously spoke of. Great article, I look forward to reading the second part. Great story, I know Danyell personally. I’m so proud of all his accomplishments thus far, he is an amazing young man. Please keep writing, I’m sure there are many success stories like Danyell’s in Oakland. This is an amazing article. Very well written, and motivational. Having known Danyell personally, I think this article is even more poignant, as I know how hard he worked to change his life around and do something better for himself. I hope you continue writing, and motivating people who feel like they’re stuck, mentally, emotionally, in the situations they’re in. Amazing. This story is motivation for all who want a better life and out for success. Life is what you make it, so when reality set in we definitely have the strength to set the terms first. Also, I’m very proud of my brother Danyell and everyone striving and not settling for nothing else but greatness! Wonderful article!! I look forward to reading more about your journey!